You just can’t make these stories up, but you can manifest impossible things! Wow, did I just have an interesting few days. My son asked for a $200 loan so I went to check my bank and saw that there was only $600 in the account. Things were a bit tighter than I thought! I did an electronic draw for him and decided that the next day I would go to my bank and ask for a short-term, $20,000 loan, something that I could easily pay back. The very next day, I checked my balance again and it showed $6,049! How in the heck did that happen? I really didn’t know but it got me to thinking about more than just the money. Yes, I did want more money in my account and I thought of it a lot the day before. My thinking was, is that really my money and did I manifest that? The $20,000 loan was still on my mind, so I took a moment toward the end of the day to manifest the bigger amount. I said, “It would be really good to have $20,000.” That was it, a bit of a prayer and conscious manifesting, nothing more. You know what is going to happen but you can’t believe it, right? The next morning, I looked up my bank balance and it now stood at $26,049!! What Is Going On?? This is completely impossible since my self-employed business is not bringing in auto deposits in amounts like that. That certainly warranted a trip to my bank and I called Ken on the way with my story so far. We were both puzzled and laughing during my drive. Once I got to the bank and explained what had happened, they pulled up my account and printed out a receipt confirming the $26,049. It was in my account all right, but there wasn’t any deposit record to back up that balance. We all agreed that it was an amazing, weird glitch and I let it go. The next morning I checked my account again and things were back to normal, although I did make some additional deposits I made that brought my balance up from just a few hundred dollars. So what happened here? All I can put together is that I mildly thought about having more money in my account and the next day $6000 showed up. The second day I made a request for a specific amount, $20.000. “Wouldn’t it be nice…” I said, and like magic it was there the next day. 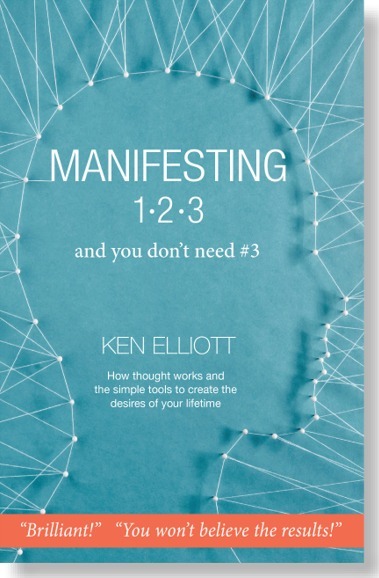 I am very familiar with Manifesting 1,2,3 and you don’t need #3 and it mentions how we create with our thoughts and how those thoughts respond to our specific instructions. It was very nice to have the extra money show up but it was only for a couple of days, JUST as I asked for. I’m onto this and now I will ask for the money or the equivalent of money, something that is spendable or of equal value. I made the impossible happen once and I will do it again… and again. What an amazing demonstration of what our thoughts can do!